This is my latest piece of animal art straight off the easel. I love Corgi’s, such sweet little dogs with big personalities. I wanted to paint a fun piece of animal art and i hope i have managed to achieve this. New Corgi Friends is a bold piece of art depicting three Corgi’s with their tongues hanging out. 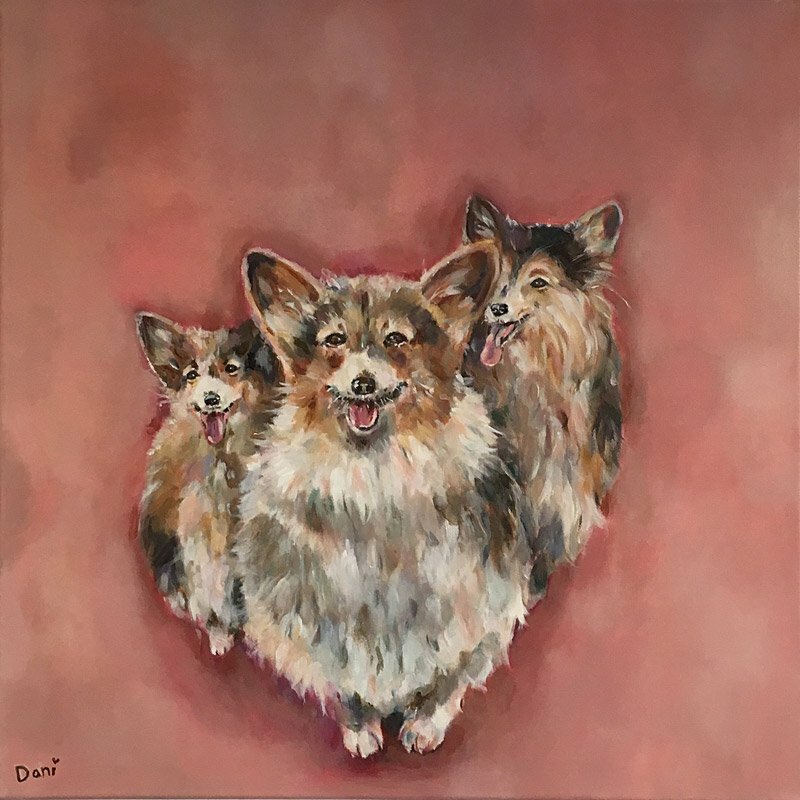 If you would like more information on how to purchase this piece of art, please visit “Corgi Friends” in Pet Portraits or Dog Paintings pages for more information.